Spring fishing will start soon, and it is time to learn the recipe for dried perch. For this recipe, you can jerk almost all river fish. 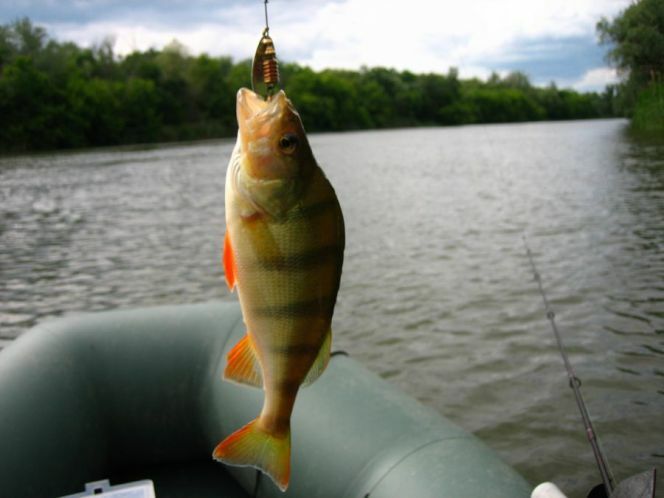 Small perch — 20-25 pieces (about 5 pounds), salt — 1.5 kg, sugar — 100 grams. Fill the bathtub with water, put the fish and rinse well with her. Prepare a bucket or deep bowl and cover of slightly smaller circumference of the bucket. Mix 200 grams of salt with 100 grams of sugar and pour on the bottom of the bucket. The bottom of the bucket can be pre-covered with cellophane. Fish dry on paper towels and place in a bucket. Pour the remaining salt and cover. On the cover put a stone or piece of brick. Place the bucket with the fish in a cool place for 7-10 days. Mix of perch and leave them for 1 day. Throw the fish in a tub of water and soak for about 4 hours. Rinse well with each fish. Wrap the fish in paper towels or towels for 2 hours. Then string perches on a thin rope or fishing line. Hang the rope in a cool place(not hot), cover the fish with a gauze and leave to valitsa for 1-2 weeks (depending on the size of the fish). If you will not use the fish immediately, then store it in a drawer and flip at least 1 time a week.